Exhibiting can be challenging, but we’ll help you make the right decisions for your brand every step of the way. If you are new to exhibiting, it can be overwhelming to take on a whole trade show program by yourself. You will have peace of mind knowing that a team of trade show experts are here to ensure that you achieve your goal. If you’re an experienced exhibitor, you may be looking for a reliable exhibit partner that exceeds your expectations and makes you feel valued. Exhibit design is more than a checklist of lounge areas, demo stations, accent walls, furniture, and other architectural features. You're ultimately exhibiting at a trade show because you saw an opportunity to connect with potential customers, strengthen existing partnerships, or introduce new products or services. Our design team thrives on collaboration! 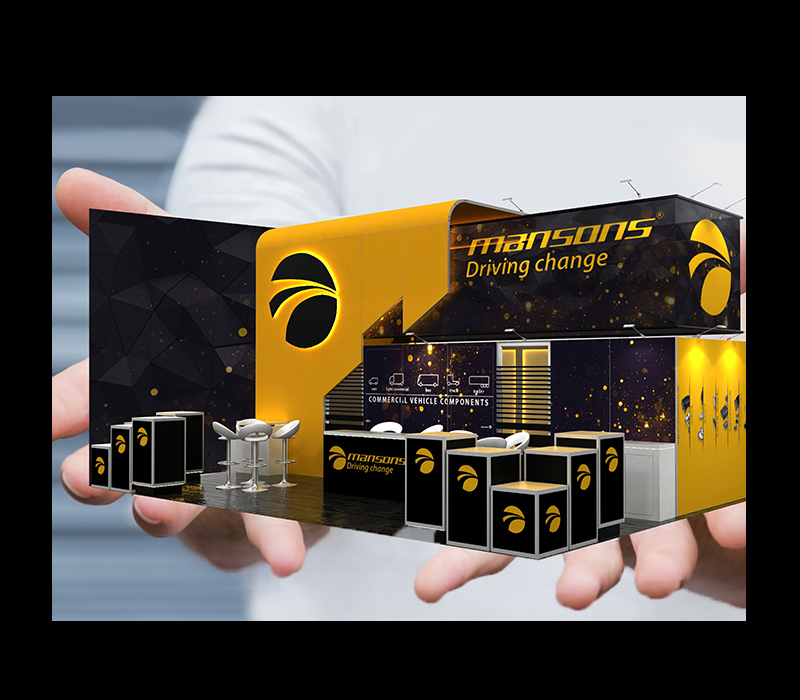 We want to create your perfect booth without limitations - so feel free to share your ultimate booth design with us. Your graphics should tell your brand story and clearly communicate the experience your customers can expect to have with you. 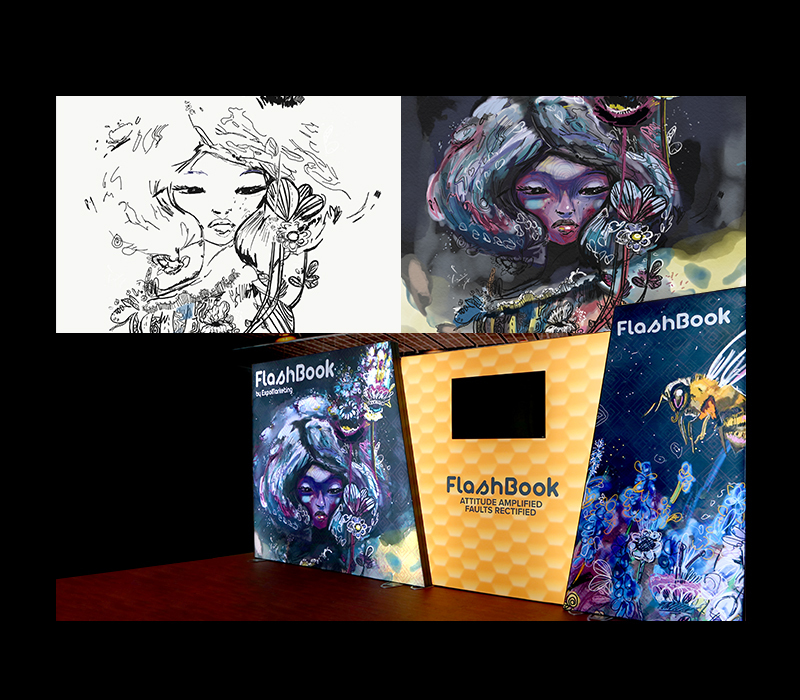 If you don’t have in-house designers or you're short on time, let our team of graphic designers become your brand ambassadors. We invite you to work with our design team to help set your business apart from your competition. Our project management team is dedicated to working with you through every step of the trade show process. Whether it’s meeting critical registration deadlines or show compliance requirements, or coordinating the shipping & labor of your booth, we take care of all the details so you can focus on accomplishing your goals. Whether you’re looking for a complete one of a kind booth or just a few custom elements, we can engineer and build what you need within your budget. All of our custom builds are made with the highest quality materials and intelligently thought out right down to the smallest detail. We always look for cost-effective solutions to lower your storage, transportation, drayage, and labor expenses. We provide cost effective trade show rental solutions without sacrificing design, customization, and creativity. 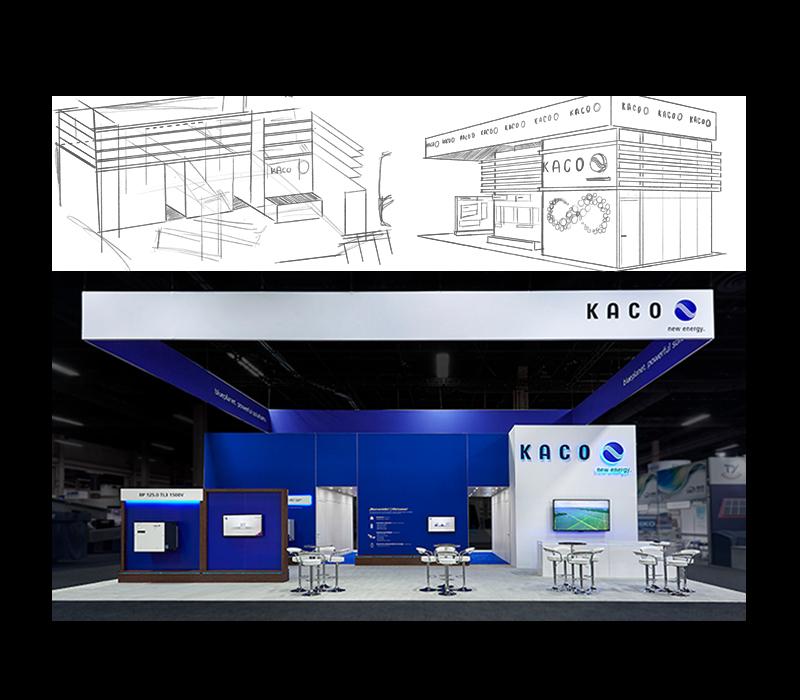 In fact, all of our custom rental projects go through the same detailed design process as booths that are being purchased. If you’re not sure if you should rent or purchase, we can help you decide. 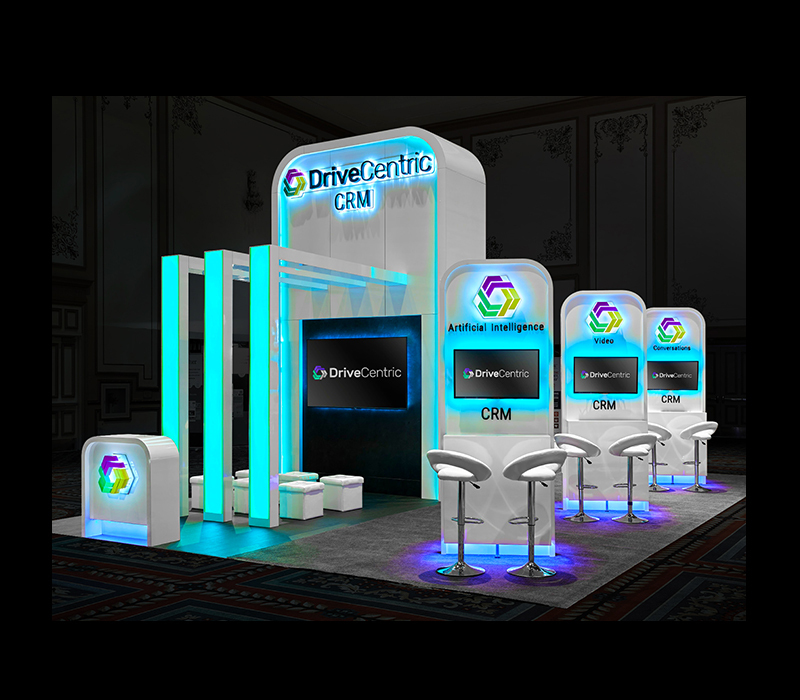 We want to create great visuals in your booth space that make your brand look and feel impactful. 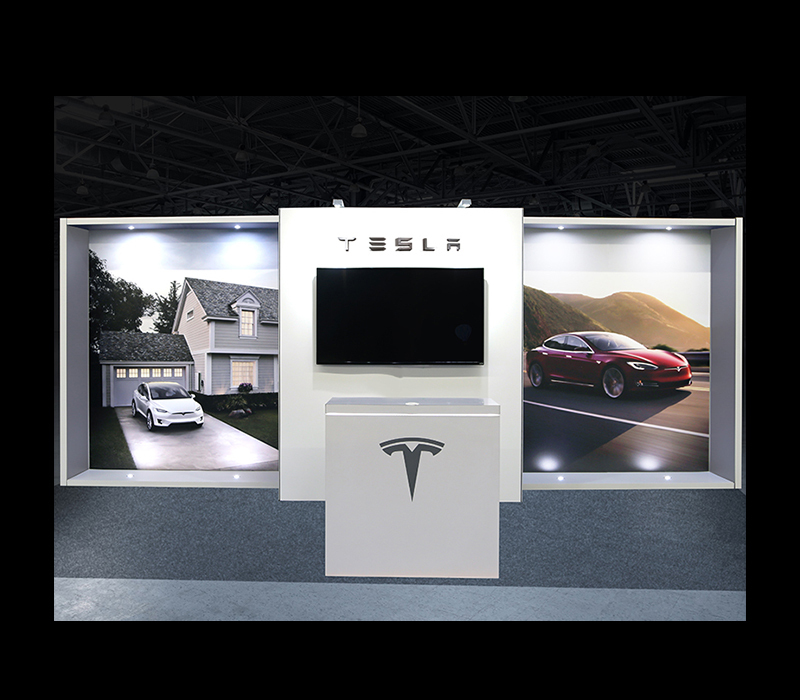 Having audio and video capabilities in trade show booths has become extremely popular, which is why we work with the industry’s best to ensure you have amazing video walls, projection mapping, virtual reality capabilities, and more. 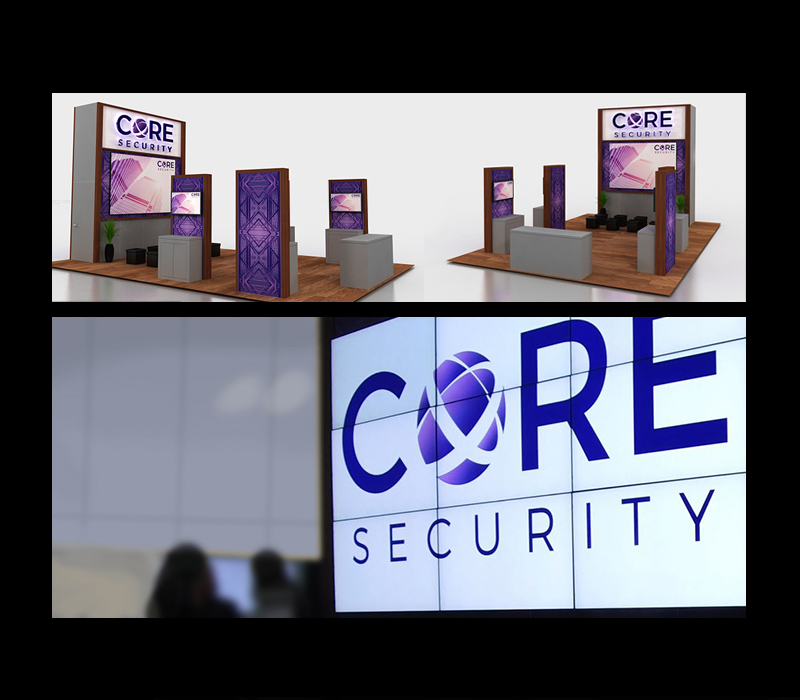 We want you to feel confident that your booth will look the way you imagined it on the show floor, not just in a design presentation. That is why we stage your booth for every show you exhibit to help eliminate any last minute surprises. If you are in the area, you’re more than welcome to schedule a walk through of your booth with our project management team. We also provide detailed staging videos for our clients that don’t have the opportunity to visit our facility. This service is available to clients that want extra support on the trade show floor. Our on-site supervision team is there during the entire installation of your booth. We want you to focus on accomplishing your goals for the show, not worrying about whether the booth will be assembled on time. Our team is also there to provide assistance with any show services such as, rigging, electrical, drayage, and more. If you need any of these services, have questions, or ideas in mind, feel free to contact us!